Gavin Fisher took over as chief designer and, of course, reigning World Champion Jacques Villeneuve was retained alongside highly rated Heinz-Harald Frentzen who had finished second to Villeneuve the previous year. It was to be a tough year for the Williams team and Goodyear announcing their departure at the end of the season didn’t help the Grove based team. However, even though severely compromised. Williams still managed to finish third in the Constructor’s title. 1997 World Champion, Jacques Villeneuve used Williams FW20-05 predominantly in the 1998 season. He used it in nine races, achieving podium finishes at Hockenheim and Budapest making chassis 05 the most successful of all the FW20’s built. Currently presented in the non-period BMW livery of the early 2000’s and without engine, FW20-05 represents a fantastic investment at an affordable price. Raced to two podium finishes by reigning World Champion Jacques Villeneuve, the car represents tremendous value for money in a rising market place. The team was adversely affected by the departure of Chief Designer Adrian Newey to McLaren, and Renault’s withdrawal from F1 as an engine supplier. Newey and Renault had made Williams the dominant team of the early and mid 1990s. 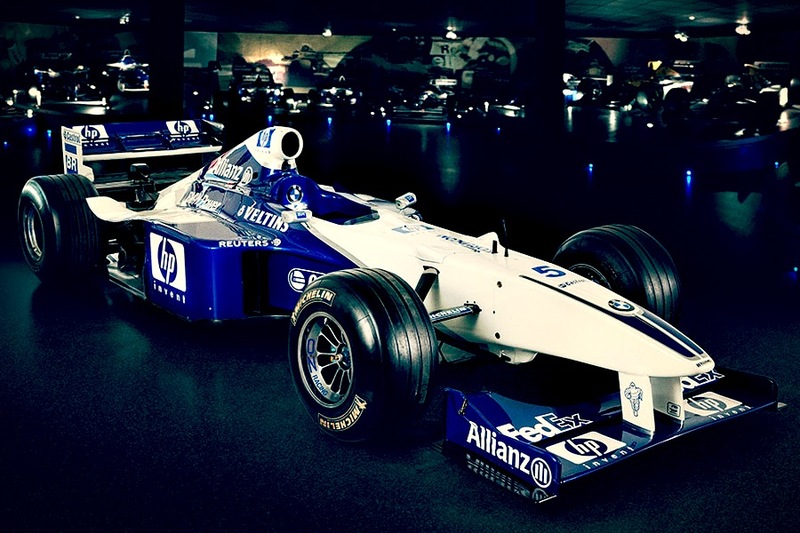 Newey had departed at the end of 1996, but his input had gone into the FW19 for 1997, so the FW20 was the first Williams car since 1990 that did not directly bear his design. The car was equipped with a Mecachrome-badged version of what was essentially the previous year’s engine. Also gone was the highly distinctive blue and white Rothmans livery, as the company had decided to promote its Winfield brand. 1998 was very disappointing compared to the previous championship-winning campaign. The team finished a distant third in the Constructors’ Championship, with three podiums and no wins, a long way behind McLaren and Ferrari.